Très Américain living combines the French’s edited ease with warm American rusticity. French design runs the gamut from ornate to minimal and pays attention to textures and composition. Classic American design, on the other hand, pulls inspiration from natural elements that evoke warmth, layers, and pride. The ideal balance is timeless, simple, inspired, and minimal but cozy. The home isn’t overdone. It's comforting like a big hug and well lived-in like a pair of vintage leather boots. All that said, decorating shouldn't require that much except a little thought and confidence about what truly speaks to you. It's a perpetual process, that with time sharpens your editing eye. It starts with refraining from being too minimal as it can feel cold while constantly editing out belongings you've outgrown or doesn't serve a purpose. 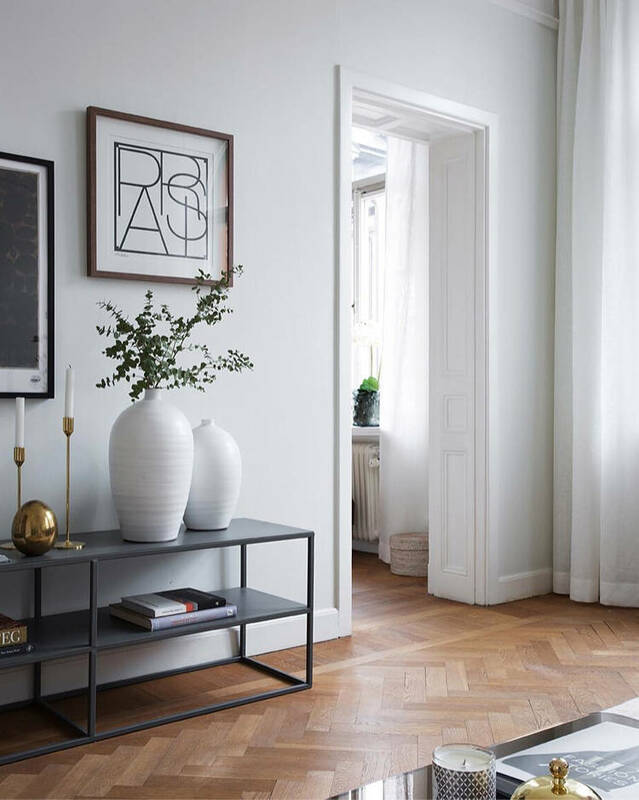 Clustering, not to be confused with gallery walls that display a large number of photos, are small vignettes that feature personal style in a thoughtful way. It's a term we like to use for displaying items that aren't necessarily functional. Instead, these items for one reason or another, speak to us. Sure, it can be a little lazy but this technique (if you can call it that) surprisingly lends itself to drawing the eye to a concise representation of one's personal style or unique story. There's no need to go out and buy all new things. Take a look at the objects and knick-knacks you've collected from your travels, favorite family photographs, random Target finds, or even fake plants lying around. Together, they can tell a great story of where you've been or the person you earnestly aspire to be. Clusters look best in odd numbers. Keep it simple with three items or a little more elaborate with five. Start with a print of your favorite quote, framed artwork, and an object to add dimension. Keep clusters off-centered. Instead of centering a group of photos directly over the sofa, leave 3/4 of the wall empty and move the group to the left or right of your eye. Have fun and play around with the placement — clusters aren’t meant to be perfect.